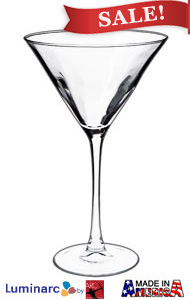 At Splendids, our Martini Glasses are available in a variety of sizes and even in party sets. 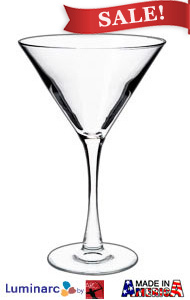 These martini glasses have a stylish "V" shape to them and a smooth stem for a pleasant holding experience. Our glassware provides you with exquisite clarity at an everyday low price to your enjoy your after-work cocktails. 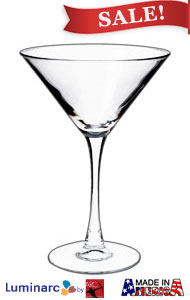 Martini Glasses by Luminarc are perfect for residential as well as commercial uses. You'll find them in clubs, bars, and restaurants as well as many other assortments of Luminarc drinking glasses.